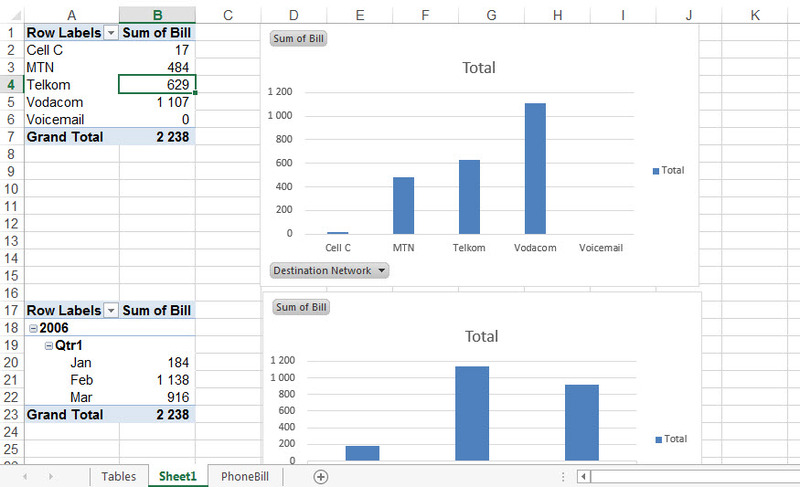 First work on the Excel spreadsheet and get it correct. 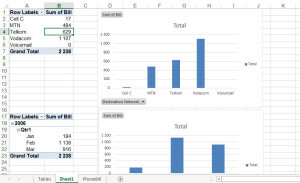 As shown below we have created a mini dashboard within the Excel file using pivot tables and pivot charts (but they can be plain cells and charts as well). Now highlight one of the tables. In this case we will highlight cell A1 to B7 and copy it. 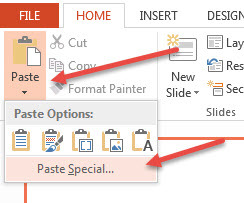 Go into you PowerPoint presentation and click PASTE SPECIAL as shown below. The following will appear. 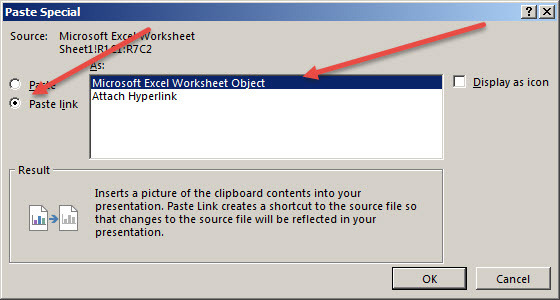 Very important, click on the Paste Link option and then choose the Microsoft Excel Worksheet Object and click OK.
You will see that the table now appears in your slide as shown below. Most important though, when you right click on the ‘picture’ you will notice that one of the options is now to UPDATE LINKS. This tells you that this image and the cells in the Excel file are now linked. 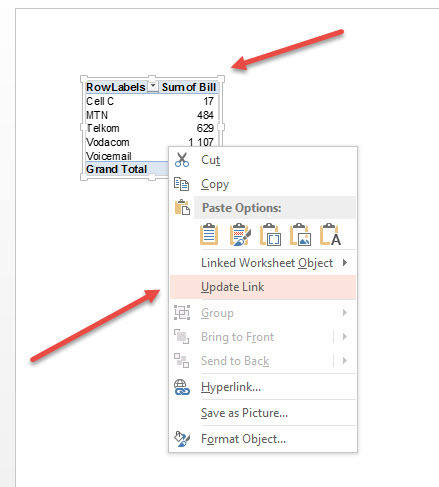 If you change something in Excel, and refresh it in PowerPoint it will update on the slide. 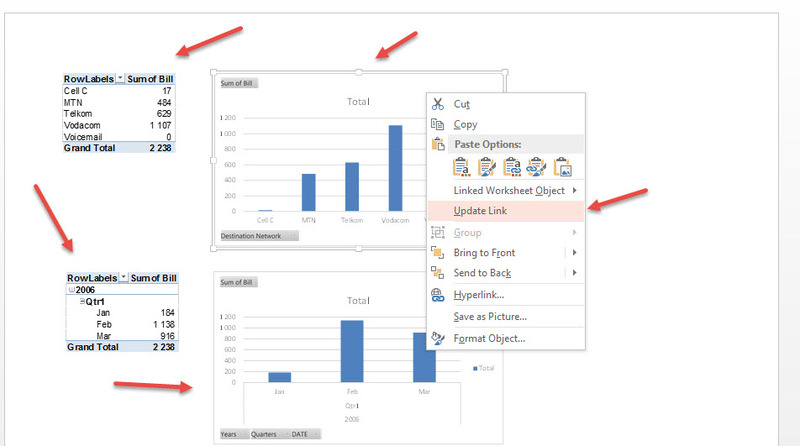 As shown below you can export the entire dashboard into PowerPoint but make sure it stays linked to the Excel file (see below if you right click on the chart it also has the Update Link option). 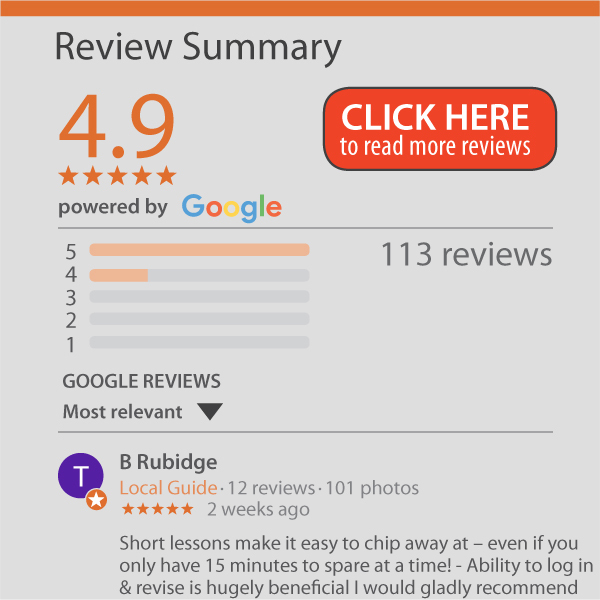 This works great for a few links but we don’t recommend you have hundreds of links like this. PowerPoint does not seem to like so many links.